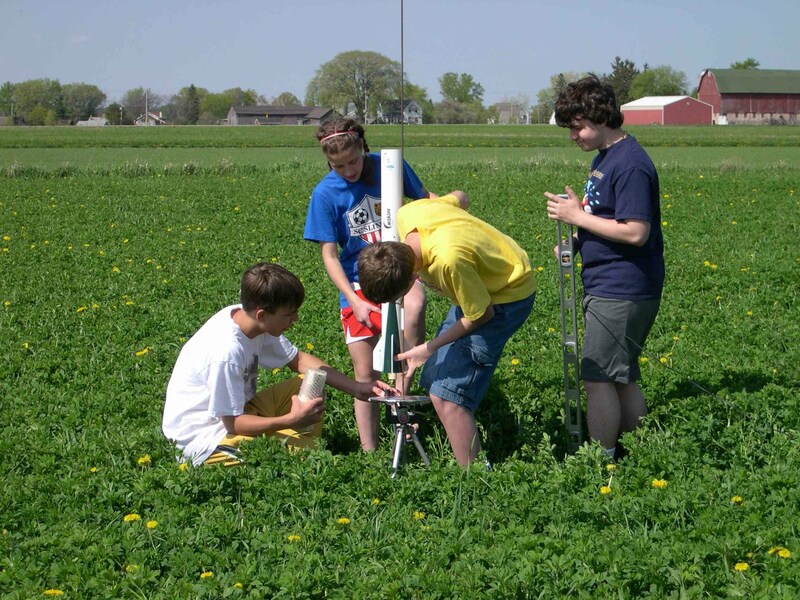 Our first entry into TARC resulted in a near perfect qualification score - immediately following a launch where the rocket landed in an ice cold pond in the Wisconsin spring. 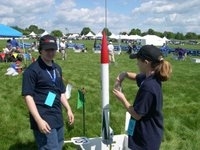 At finals, the team finished 73rd, suffering from an altitude shortfall. But the team was given the Youngest Average Aged Team award. Testing the rocket in the spring after the snow melted. Picking out the egg the morning of finals at Great Meadow, Virginia. Ben and Katlin prepping the rocket before the launch at finals. Katlin is sprinkling the rocket with water from the pond that it landed in during a test launch. DRS Technologies was our primary sponsor. 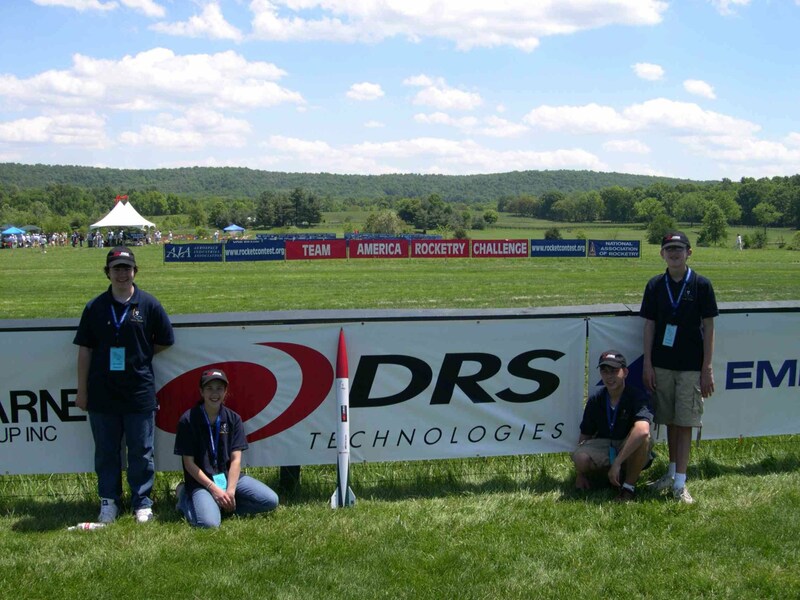 Here's the team in front of the DRS banner at TARC finals.